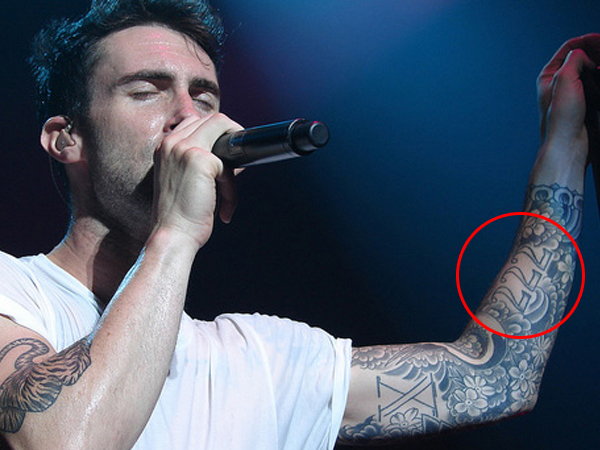 Uncovering Adam Levine’s Tattoo, What These Inks Mean – Oh Den! Adam Levine is the lead vocalist of the popular band Maroon 5. The musician is married to Victoria Secret Angel Behati Prinsloo and the couple has a daughter together, who was born in 2016. Levine also pursued an acting career, although his priority remains music. He is one of the two original judges of The Voice, the other one being Blake Shelton. 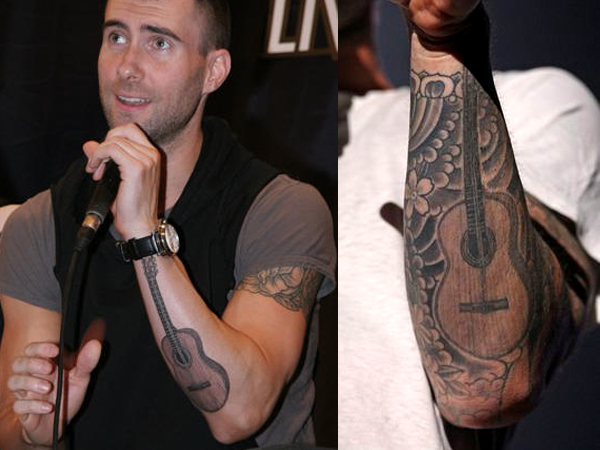 Adam Levine’s tattoo is as popular as the singer. Let’s take a look at some of his tats and their meanings. One of the tattoos that the 38-year old singer has is the “222” on his forearm. This was the number of the studio door where his band Maroon 5 had their first recording. The cherry blossoms and dove tattooed on his arm was a tribute for the victims and heroes of the tragic 9/11 bombing. The band’s lead vocalist also has a guitar tattoo on his left forearm. 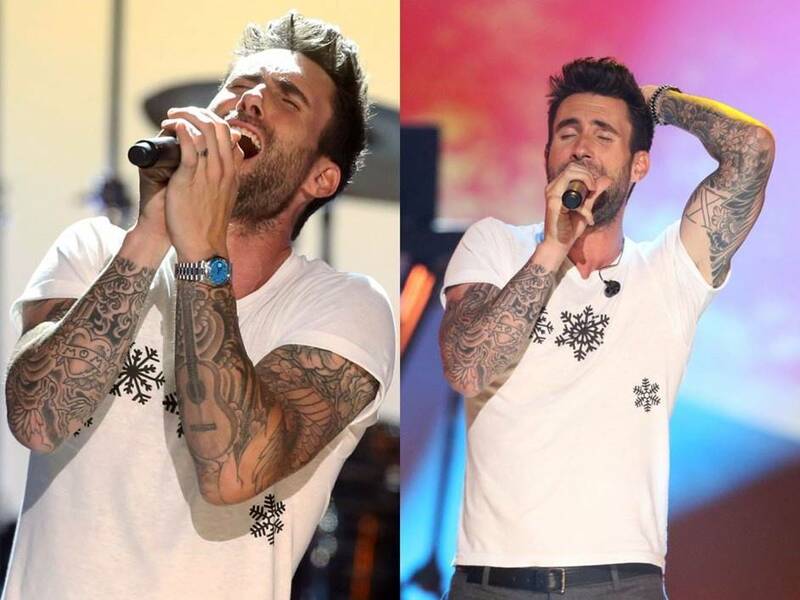 It is not a secret that Levine is not only a fantastic singer, but an amazing guitarist too. The Sugar singer also has a paw print tattooed on his right shoulder. Levine is an animal lover. Moreover, this was a tribute to Frankie Girl, his golden retriever who died. 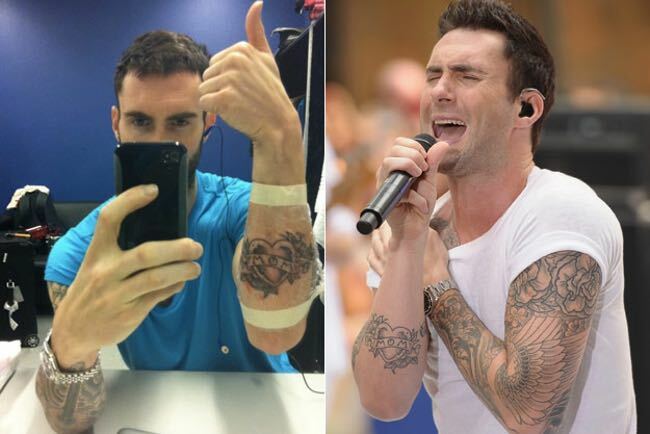 Levine also has a tiger tattoo. Although he has never confirmed about the meaning of it, the said animal symbolizes courage and strength. The Los Angeles native also had the city that he was born in tattooed on his right biceps. LA love it as it is! He has a heart tattoo on his left arm with the words “mom” scribed in it. This a sweet gesture of Levine to show how much he loved his mom. Even the flower tattoos on his left arm are also rumored to be dedicated to his mom. It looks like the singer is a certified mama’s boy. Levine also had the image of an eagle inked on his abdomen, just below his chest area. Like the tiger, this also represents courage. On his left chest is a Sanskrit tattoo of the word “Tapas”. The word means meditation by moral virtue, penance, etc. The singer shared that it was something personal, which is why it was inked on a less visible area. Copyright © 2013Oh Den! All rights reserved.